Rockstar tonight. Came out gangbusters and put us fans at ease for two reasons. 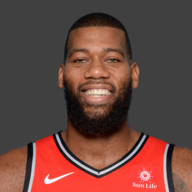 He dominated the Cavs early and made us realize the Raptors weren’t gonna screw around. And he obviously displayed some high-quality tertiary scoring, which is something all of us have been clamouring for from him. 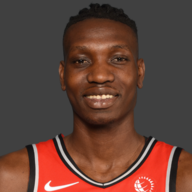 His defense was great, and Nurse was comfortable letting him and Siakam switch freely amongst the Cavs bigs. His handle is shockingly tight. When you go to play pickup ball and you see a guy who really dribbles hard, that’s Kawhi. He’s not dribbling the ball to the floor and waiting for it to meet his hand, he’s smashing that thing against the ground and using his hand as a buffer. Any misdirection is deadly with him as he blows through defenders like they’re made of paper. Superstar, effortless scoring tonight. The jig seems to be all the way up on his spin move right now. He’s not slithering through defenses as easily in the half-court, but still remains deadly in transition. Good ‘DHO’ synergy with VanVleet and the switching defense with OG and Kawhi was great. High quality lead guard play. Never looked pressured and ran the offense beautifully. Kept the Cavs defense on edge for the duration of the game and made every possession look threatening. Still waiting for him to start hitting his set threes. 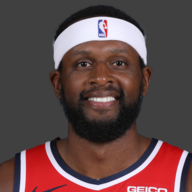 The rest of his floor game was perfectly funky, opening up creases in the Cavaliers defense with his in-n-out dribbles and spraying the ball across the court. Active hands on defense and a major presence when the Raptors switch to zone. When he enters “running back” mode after snaking the pick n’ roll he’s deadly attacking the rim. Tonight he was more selective when putting his head toward the rim. Since he so often finishes on a long last step, defenders track him and block him easily. Tonight he made sure the bigs were an extra step away and he could beat them to the glass. Great weak-side attacking and tertiary ‘pnr’ ball handling. It’s not that he’s missing threes. He’s missing wide-open threes. The type of threes that Tim Duncan would hit in the All-Star game. 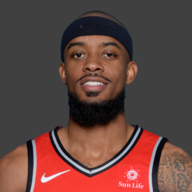 The type of threes that Valanciunas shoots 38-percent on. I say this in most QR”s, but he’s not of any utility if he’s not shooting the ball well. Say what you will about spacing and gravity, but that doesn’t cut it. 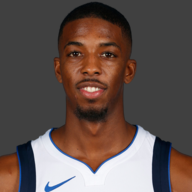 Hope you break out of this slump soon CJ. 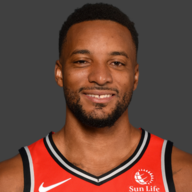 The Raptors offense wasn’t left wanting in this one, so I’m not particularly disappointed with his continued passivity. Yes, if the ball is in his hands, it’s just wasting time there, but he makes 3 or 4 high impact defensive plays every time he’s on the floor. In his first stint alone he generated 3 changes of possession. He’s a bench defender, and in this game that was perfectly good. Did a great job coming in to punch in some points off the bench. 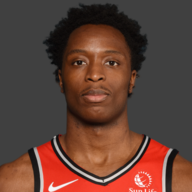 With the Raptors shorthanded in the front-court, having him available to make veteran plays is a huge bonus. Got more length than you can shake a stick at. I like the cut of his jib. 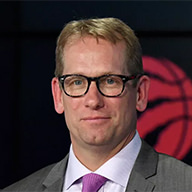 Really liked when he zoned up, and that the Raptors do it more often than most teams. Not afraid to utilize the teams length in a few different ways. 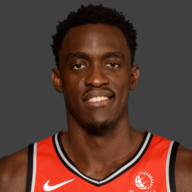 The Siakam-Anunoby front-court to start things off was fun and I’ll co-sign that with Ibaka and JV out any day. 5 and-1’s for Leonard in this one?! Might’ve been four, correct me if I’m wrong. He was incredible tonight. The Cavaliers had no recourse to deal with him, and the game never fell out of the balance of his massive hands. Powell’s place on the bench looms very large to that unit’s success. That extra pinch of athleticism and shot-creation is a world of difference. Excited to see him in some line-ups with the fully realized bench squad. He’s got plenty of time to make that contract look good. Low turnovers. 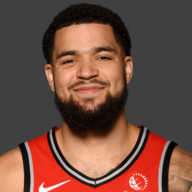 VanVleet and Leonard ran a tight ship tonight. The offense came easy and the Raptors didn’t provide the Cavaliers with any artificial buckets in transition. Leonard continues to be a big factor on the glass. His effort there, mixed with the defense gives Nurse so many extra things to work with. 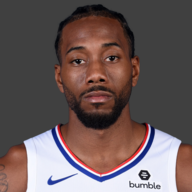 Leonard is such a unique player in that he liberates everyone else from the hard work on offense and defense. Few players like him in league history, and maybe 2 or 3 in this day and age.